A group of researchers from the University of Edinburgh's School of Engineering and California Institute of Technology have developed an inexpensive way to make products incorporating nanoparticles, such as high-performance energy devices and sophisticated diagnostic tests. The new manufacturing process, known as electrospinning, could speed the commercial development of devices, materials and technologies that exploit the physical properties of nanoparticles. These particles, which are thousands of times thinner than a human hair, behave differently compared with conventional materials, and their unusual properties are inspiring research towards new applications. The researchers demonstrated electrospinning by building a fuel cell, a device that converts fuels into electrical power without combustion. 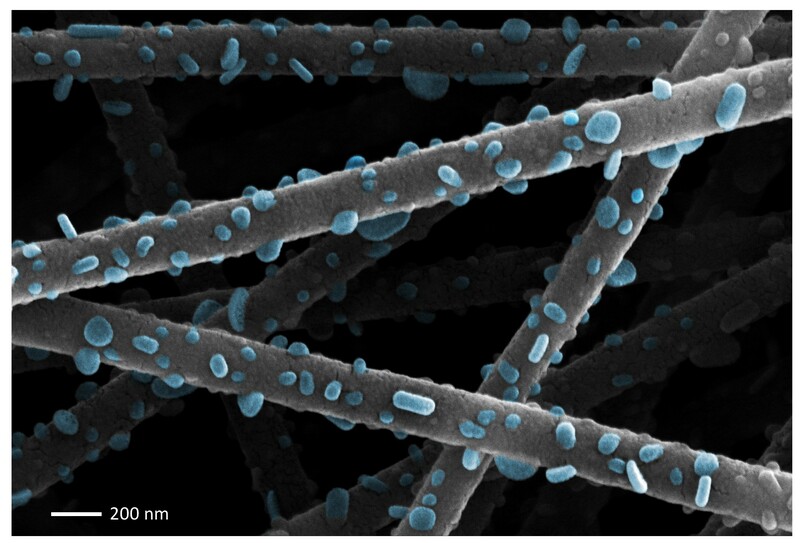 The device was produced featuring strands of nanoscale fibres incorporating nanoparticles on the surface. It offers a high contact area between the fuel cell components and the oxygen in the air, making it more efficient. Engineers built their fuel cell using a nozzle-free electrospinning device – a rotating drum in a bath of liquid under high voltage and temperature. Nanofibres are produced from the liquid on the surface of the drum, which are spun onto an adjacent hot surface. As the fibres cool to form a fuel cell component, nanocrystals emerge on their surface, creating a large surface area. Such nanotech-based devices have been shown to perform much better than their conventional counterparts, but are ordinarily very difficult to manufacture. The study was published in Nature Communications and funded by the US Department of Energy, indicating the international level of interest in this developing field. Dr Norbert Radacsi, who led the study, said: "Our approach of electrospinning offers a quick and inexpensive way to form nanomaterials with high surface area. This could lead to products with improved performance, such as fuel cells, on an industrial scale."